Just last month, a UFC pay-per-view (PPV) became a UFC “Fight Night” event. A few weeks later, the world’s largest mixed martial arts (MMA) promotion will run the formula in reverse and take UFC Fight Night 88 — originally headlined by the middleweight brouhaha between Ronaldo Souza and Vitor Belfort — and repackage it as UFC 198. UFC confirmed the switcheroo earlier today on Twitter. That includes a new, five-round championship main event featuring UFC heavyweight titleholder Fabricio Werdum opposite top division contender Stipe Miocic, as they do the deed on Sat., May 14, 2016 inside Arena da Baixada in Curitiba, Parana, Brazil. I guess “Vai Cavalo” was able to heal up much faster than his original opponent, former division kingpin Cain Velasquez. 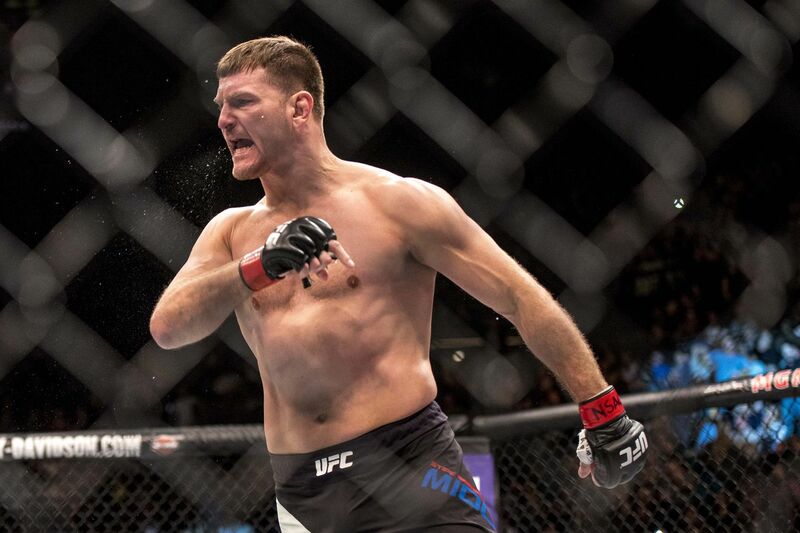 That means Miocic will (finally) get the title shot that eluded him back on Feb. 5, when the Brazilian withdrew from the short-notice showdown. Werdum (20-5-1) was apparently banged up pretty badly over the course of his six-fight winning streak, one that includes a UFC 188 submission victory over Velasquez. Miocic (14-2) is coming off a blistering technical knockout win over Andrei Arlovski at the UFC 195 PPV back in January, a solid way to follow up his destruction of Mark Hunt last May. The 33-year-old bruiser has now won five of his last six, with his lone defeat coming by way of razor-thin decision to Junior dos Santos. To check out the rest of the reworked UFC 198 fight card and line up click here.